Hi friends and fans of J World: our San Francisco Bay location is now hiring instructors. It’s a great opportunity to work for the industry leader in sailing education, training, and experiences. 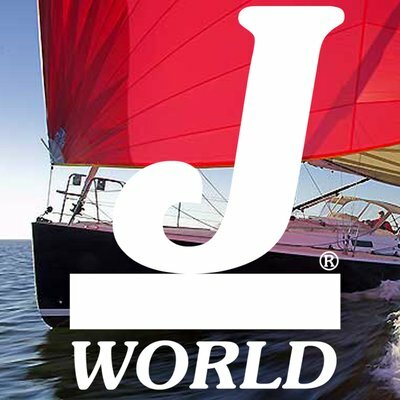 Interested individuals should email us at info@sailing-jworld.com. 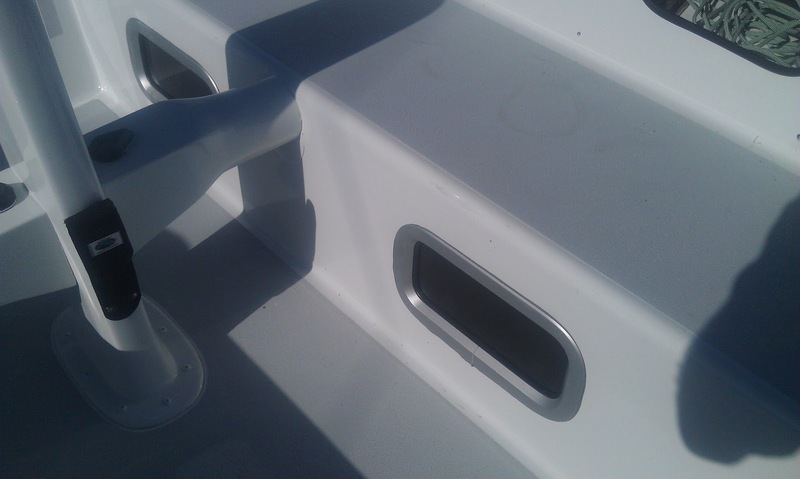 We here at J World know it is extremely difficult to find good, fast charterboats available for racing events. 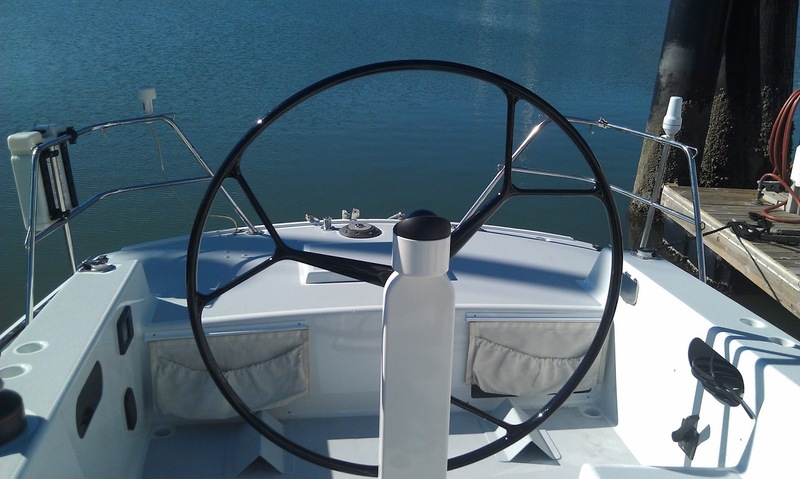 Too often, ‘race ready’ boats are not competitive. 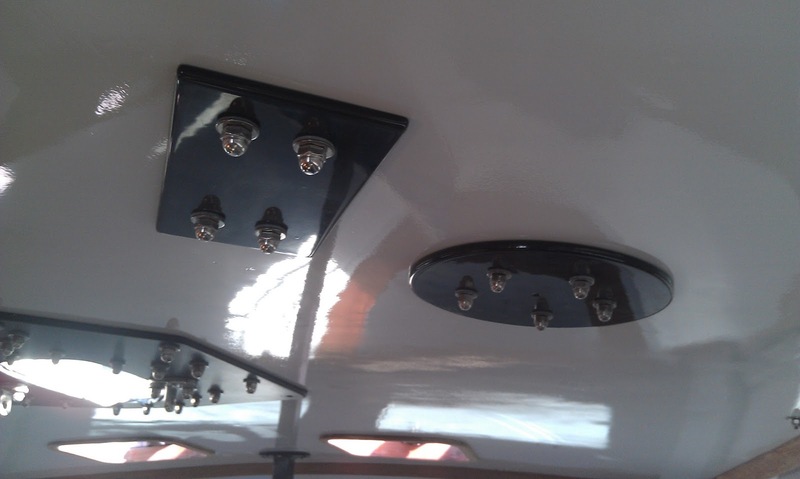 Too often, they are not really offshore ready (complying with all race requirements, certified liferafts, etc. etc). 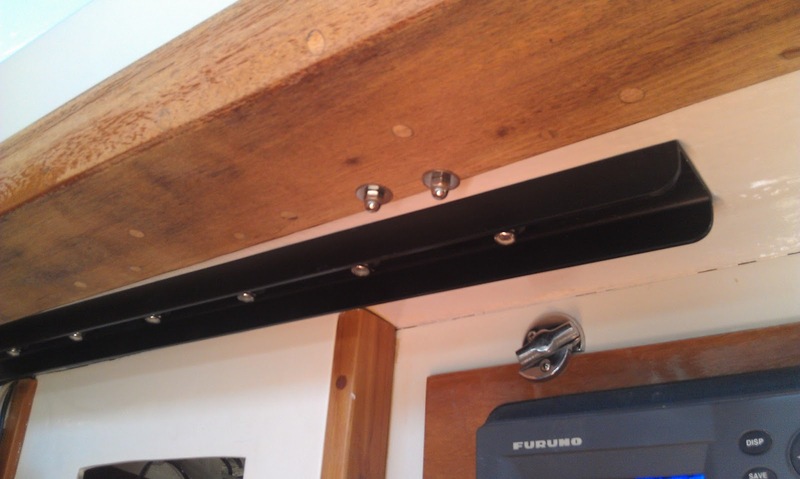 This means, unfortunately, that we are usually restricted to racing in our home waters, or we have to spend a lot of money and wear-and-tear moving our boats around on trailers or deliveries. And when it comes to a premier event like the race from California to Hawaii, it can be almost impossible to source a good ride. 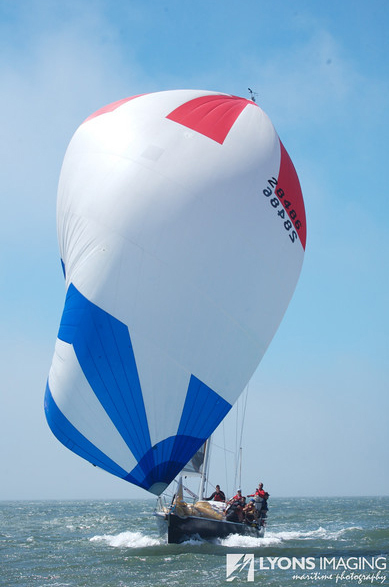 Well, we here at J World have decided to make our J120 available for charter for events here on the West Coast, including the 2014 Pacific Cup. 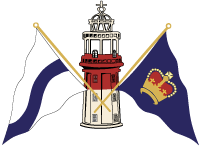 We are offering the boat as a bareboat (to fully qualified teams), or we can help provide coaches/crew who are familiar with the boat and the event, and would be a great asset to any campaign. 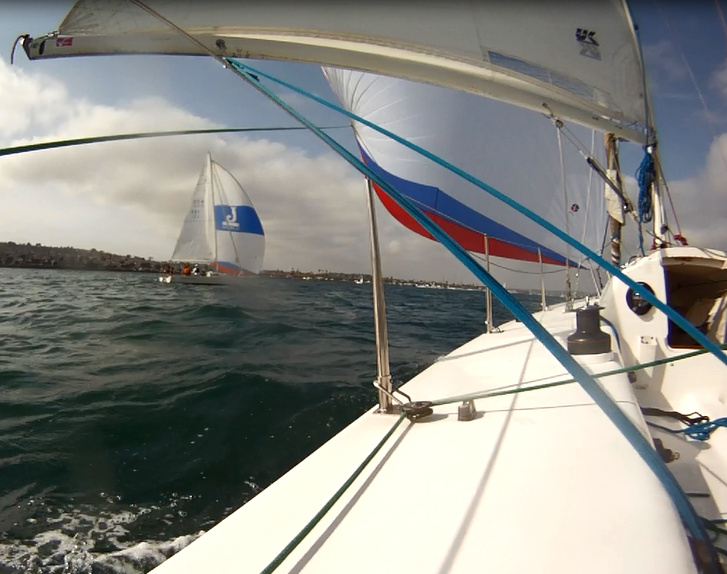 Last week J World San Diego hosted a racing clinic prior to San Diego Yacht Club’s signature regatta, the Yachting Cup. This year marked the 41st running of this premiere regatta, bringing together competitive fleet and one-design racing. We scheduled three days of practice with our coaches for a group of students from around the US – and the world) before the regatta… Sika gets the distant traveler award for joining us from Taiwan! 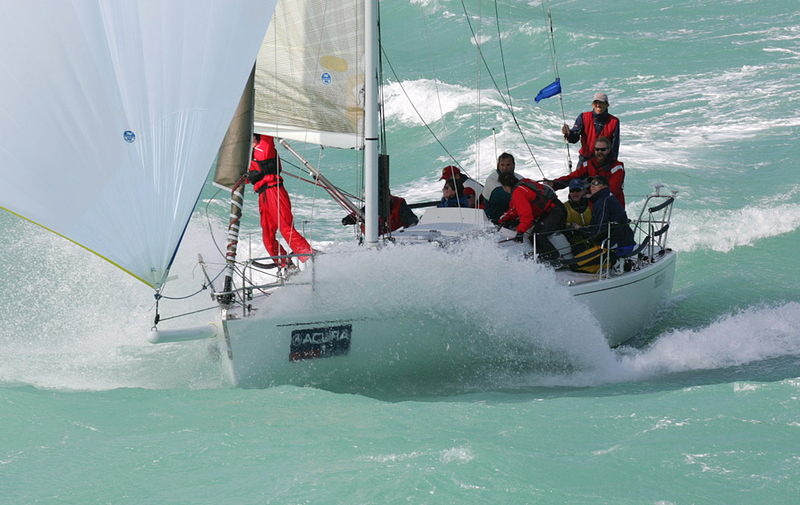 Three of our J/80s were entered into the one design class to compete against six other boats of seasoned racers. 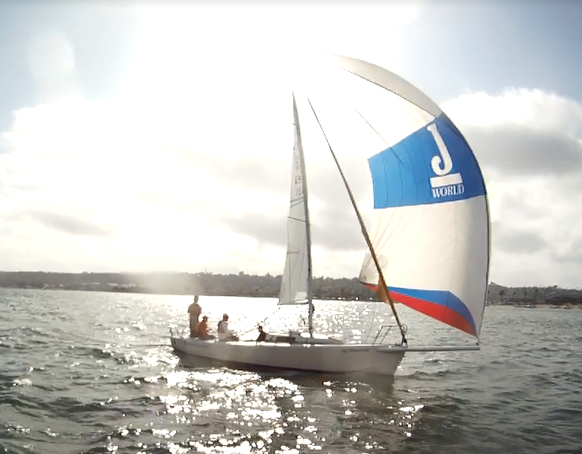 The clinic gave our students a variety of conditions to work with including some typical San Diego light air and ample sun, along with some more atypical breeze, seeing some gusts over 20 knots. Our coaches used a combination of classroom lectures and on the water practice to push our students to learn and improve their boat handling, sail trim, strategy, tactics, spinnaker work… and of course a whole day of starting practice! After all that hard work (we could only practice so much) we had to get out there and race! Yachting Cup’s two days of racing were held at the Coronado Roads just outside of San Diego Bay. SDYC’s race committee planned short windward-leeward courses and had scheduled four races on Saturday and three for Sunday. On day one, with a late season low pressure system passing through, we were seeing 15 knots of southerly breeze while rigging boats in the morning, and so we knew it was going to be a lumpy and bumpy ride! Our boats had a fast (and very wet) day sharing our start with six of the new J/70s and only getting off three races. Day two was forecasted to have even more wind, but luckily (or not?) it never really showed. Instead there was plenty of San Diego’s infamous “May Gray”. The slightly more mild breeze still kept tacticians and the race committee on their toes with some big wind shifts. Maybe a weatherman in San Diego isn’t the easiest job in world after all? 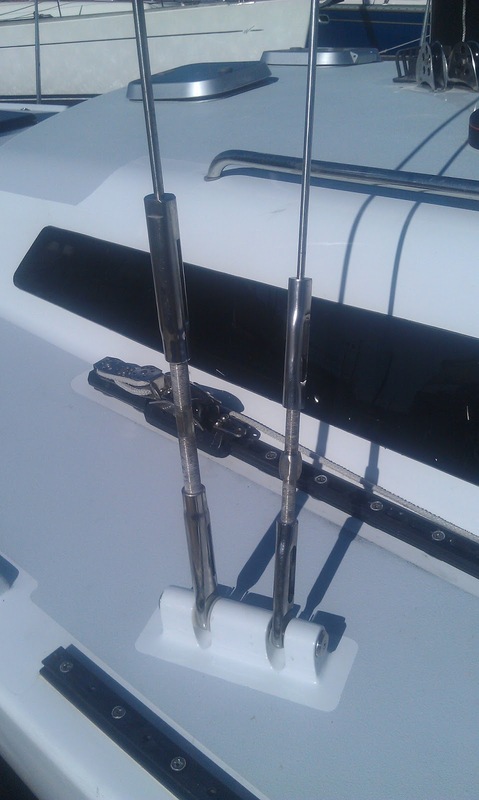 J World’s boats ended up finishing 4th, 5th, and 7th in the J/80 class. I think it is safe to say that everyone, including the coaches, also finished with a big grin on their faces (and sore hands!) after such a competitive weekend of sailing. Great job Erwan, John, Gary, Sika, and Jim! 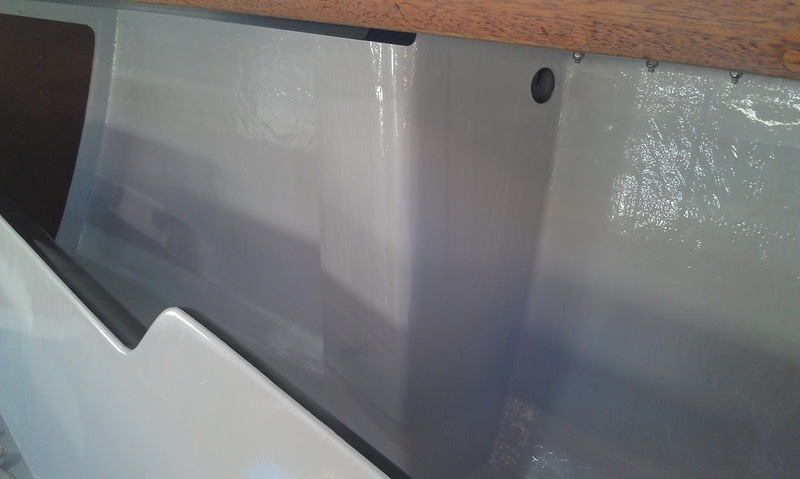 New paint, windows, hatches, and a super slick bottom… with her keel back on, Hula Girl heads for the water. Want to see the finished product? 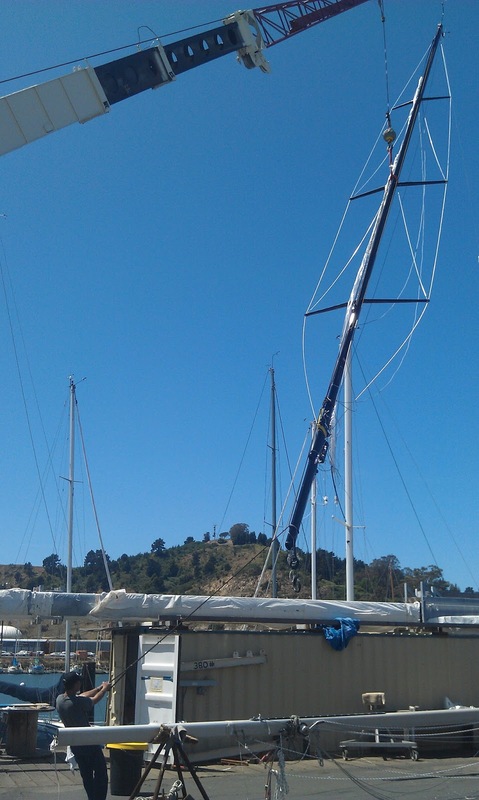 Sorry, going to have to wait until after Yachting Cup. 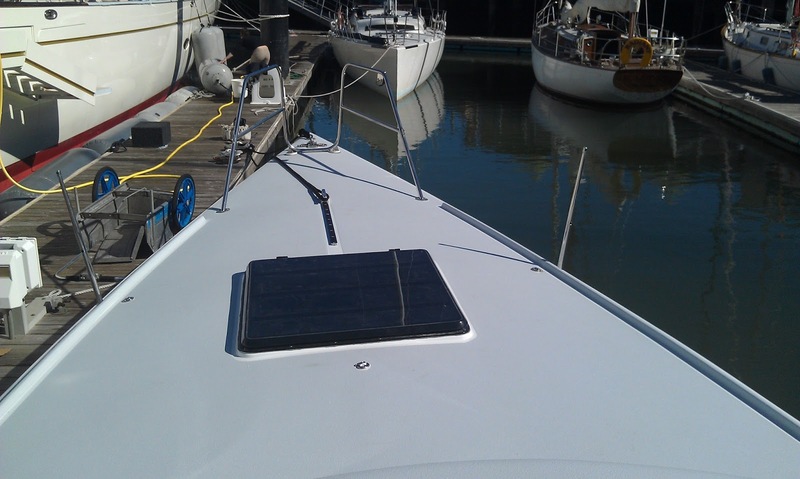 Want to go for a ride on the fastest SC50 afloat? 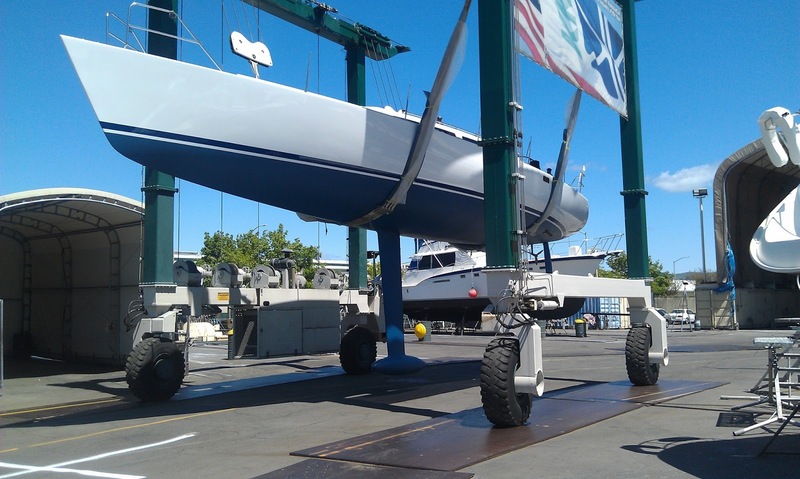 We have space in the 2014 San Diego to PV Race and the 2014 Pacific Cup (San Francisco to Hawaii).